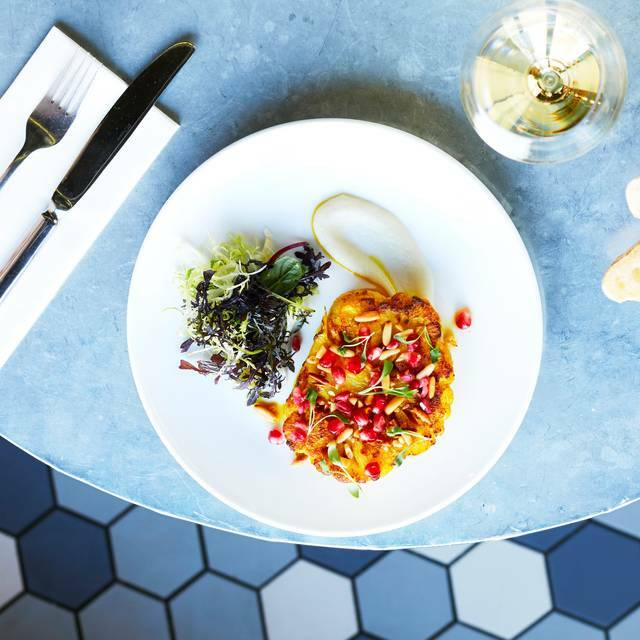 Our Kensington venue is set back from the bustle of the high street with an intimate private dining room that’s perfectly designed for small (but important) occasions. 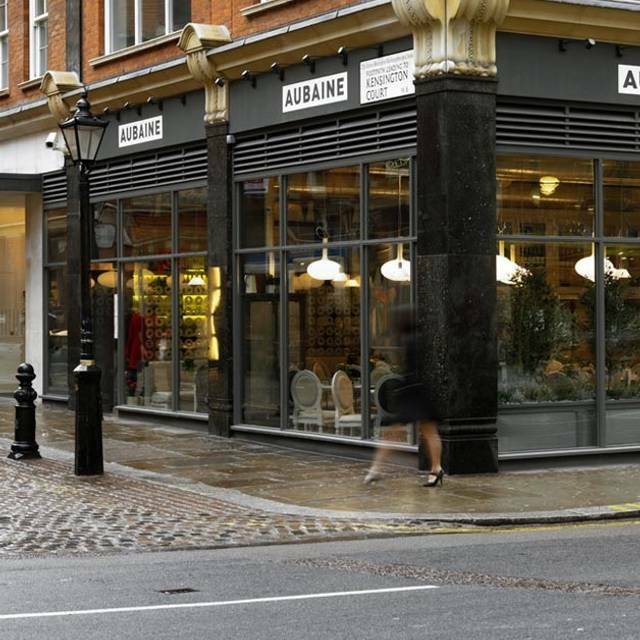 Quiet for business meetings, yet intimate for private dining, Aubaine Kensington can also seat larger parties in the main restaurant and is available for exclusive hire. 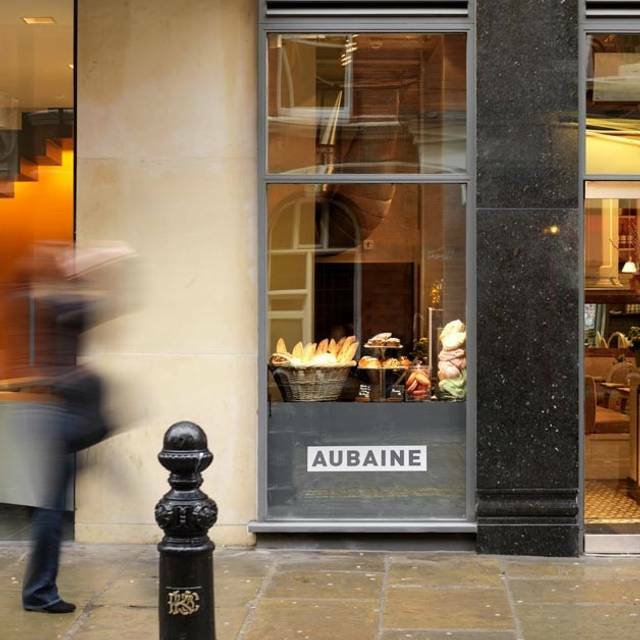 Synonymous with swanky villas and good taste, Kensington is an ideal home for Aubaine’s modern French cuisine. 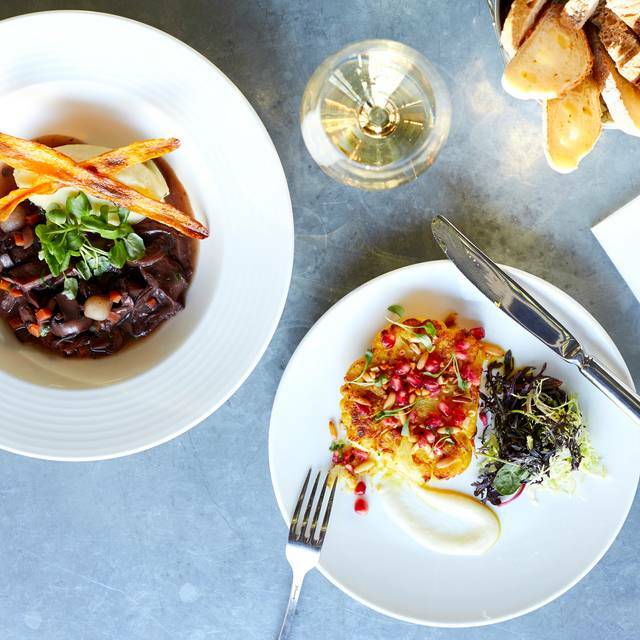 Our Kensington branch is set back from the bustle of the high street with an intimate private dining room that’s perfectly designed for small dinner parties. 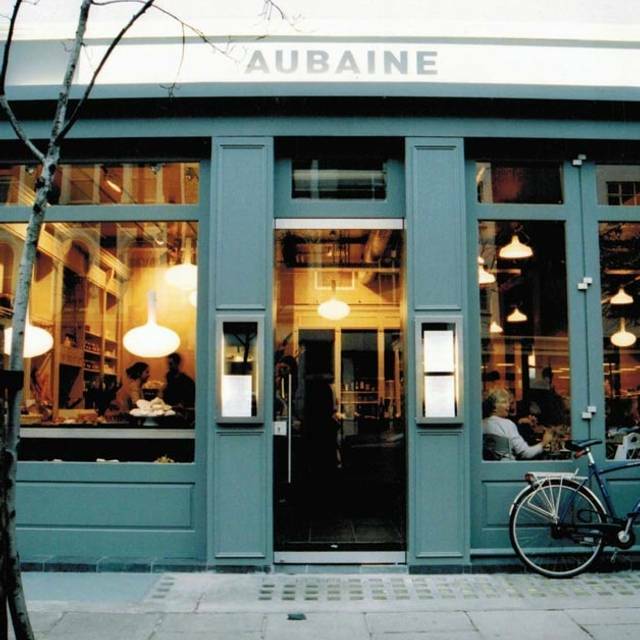 Aubaine is a passionate marriage of French culinary creativity and the discerning standards of the London dining scene. We live to make the simple sophisticated and the sophisticated simple. 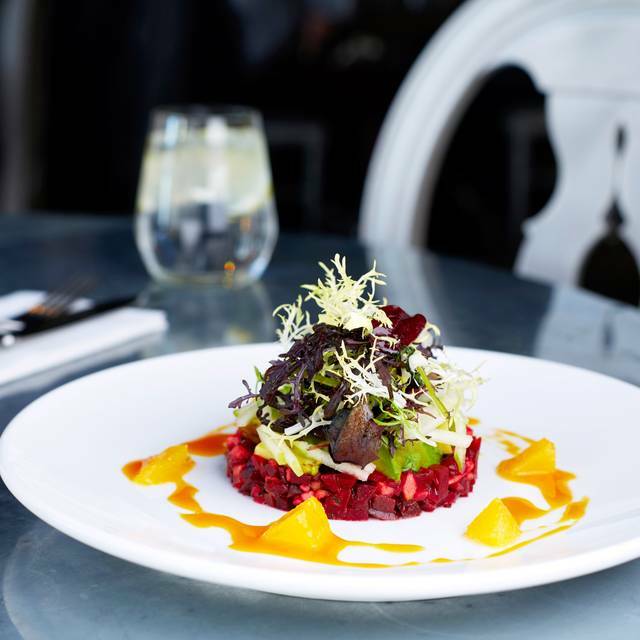 Our smart Kensington venue is set back from the bustle of the high street and offers a quiet space for business meetings and an intimate setting for private events. We used one of the offers posted on Open Table and had a really delicious meal! Lovely place, If I could only raise one complaint is that it felt very cold inside on a winters’ night. But good value for money! Having been to a different branch before; I was expecting good food and service but was disappointed. I booked a table for my birthday at 12, at 12.30 we were told they had no French toast as they’d ran out (an all day breakfast dish). The group ordered different dishes and 4 arrived with cold poached eggs. These had to be sent back. My meal of avacado on toast came with an entire watercress plant on top which smelt like a pond, I ate 1/4 of the dish including having a couple of other people try it. I informed the waitress who spoke with the manager, I was told it was half eaten and this is how it comes. I was left without a meal. They then proceeded to charge me for this dish which I had to contest. We left extremely disappointed and would not return. I’m a bit disappointed. Booked and asked for a table aside and got table in the middle of the restaurant, even though place was empty and there was plenty of nicer tables. People (waiters) constantly passing by, couldn’t talk properly. Good food, but not many guests! Not the best restaurant in Kensington! Mainly went for the prix-fixe deal. It was great value for money - good quality food, portion size and decent wine. Breakfast was delicious although small portions. Service was non existent-no water was offered, waiter looked and behaved like he didn’t want to wait on us took 20 mins to get the bill. Maybe other branches will be better. Food was ok. Wasn't blown away by it. The atmosphere was nice, and nice location. Overall it was very good but very quiet .The Service was excellent . Lunch meeting close to the office, good location and service was excellent. Not too crowded and noisy so I could have a business meeting. Food was tasty and will try one of the salads next time. Fabulous attentive service, brilliant staff - a credit to the restaurant! Food was sublime, all three courses! Fabulous wine selection. Would recommend over and over again! 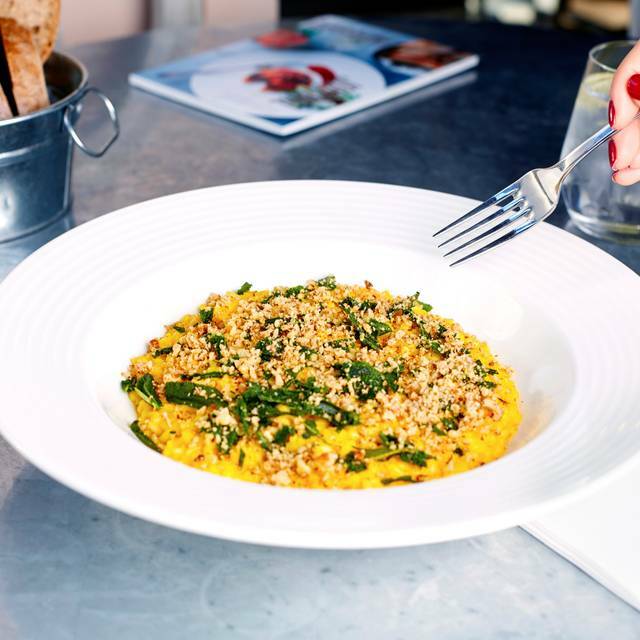 Not great overall – the service was very slow, then once we had managed to order food it arrived at various different times and various levels of hot-ness. 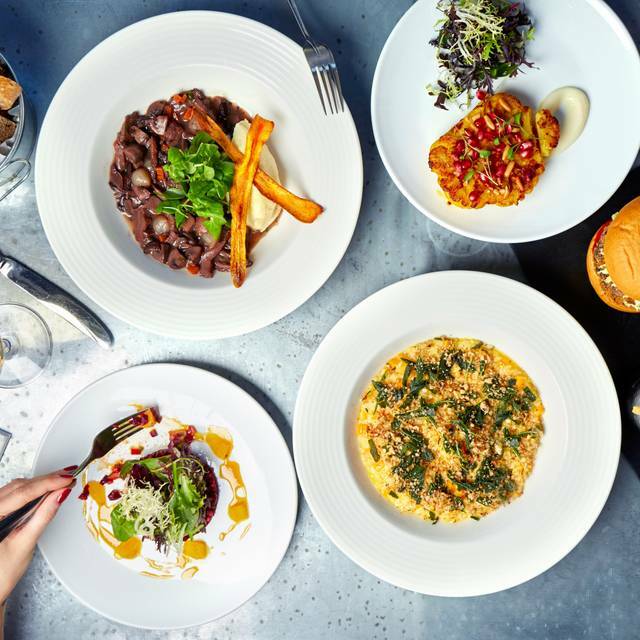 We also had to wait until after our mains had arrived to order drinks, then after a considerable wait were informed there were ingredients lacking for one of the drinks. While the manager took a small amount off our bill, I would still not recommend this restaurant to a friend. Service was very good and it’s a handy location for south ken/High Street Ken and Albert Hall etc. Good wine. Atmosphere pleasant enough but overall the experience doesn’t feel as special as it used to. Restaurant ( and lavatories) should have been cleaner. Not bad enough to make a fuss about but not really good enough. Servers were good but food was underwhelming (again, not bad enough to complain about but just not very pleasing). Although the restaurant was practically empty, we felt that the staff were trying to hurry us along; they cleared plates whilst we were still eating, produced dessert menus while we were still eating the main course and showed the dessert selection, again while some of us were still eating the main. The food was mixed, some of it was tasty, some was tasteless and bland. The toilets were disgustingly dirty.Overall although the restaurant was ambient enough, we wouldn't go back as we thought it was expensive for what it was. Food wasn't hot when it arrived (aubaine burger and chips). Risotto was not very good, sorry. Very bland. I think it could be a great restaurant, it's a good venue but the attention to detail isn't there. - Food - could be a lot richer in flavour. - Toilets, very grubby when we were there. Then you could justify the price. Sorry to moan, but hopefully this helps. Handy location, lovely decor and ambience. The food was slightly in the small side and for £16/17 I expected more. My lobster Benedict was really tasty although the rosti was a bit oily, I did enjoy it. The service really let this place down a little. It was difficult to get the attention of the server and pay and they had limited knowledge of the hot drinks. The toilets were in such a poor condition I had to alert the staff that they needed cleaning. No toilet roll and sticky wet floor more akin to a club. Overall experience was good but I'd be reluctant to return in a hurry. Everything about our experience has put me off ever returning to this chain and specifically this branch. Firstly - the restaurant is not clean, and the toilets specifically on a Sunday morning were particularly dirty. We were having lunch with our two young children, a 5 year old and and an almost 2 year old. When drinks were brought the waitress placed a large glass of orange juice directly in front of our toddler - who grabbed it before I was able to respond and poured this cold drink all over herself. When I confronted the manager and stated that this could be a soup or a hot dish and the waitress should have thought before placing it so closely to a baby - instead of apologising profusely as expected he proceeded to loudly accuse us of being bad parents for “not watching our children”. His attitude and comments were truly appalling and if they are a reflection of the standards of this establishment I am deeply disappointed. Our afternoon was ruined, children upset and hungry (we chose not to stay and were told by the manager to “just go”) and I spent over £50 in the shop next door buying new clothes to change my child who was soaking wet. Avoid! Really slow and poor service. Although it was Tuesday evening and the restaurant was empty, I waited for ages a simple ice cream. I have orderd a salad without Tuna (the main ingredient) and they charged me the full price. I was very disappointed. They have been really nice organising a slice of cake with a candle for my friend's birthday. Even though it was my suggestion, since I have been emailed them in advance. Ordered a quick coffee (black Americano) while waiting for friends for lunch. Half an hour later after chasing up my order a cappucccsme arrived which I rejected as my friends were about to order wine. Food not that impressive considering the price! Food was a little disappointing. Medium lamb order came closer to well done. Lobster was also a little over cooked. Staff and service however was great, especially since we had 2 children with us. Went out for a late birthday meal with a friend. The food was gorgeous and neatly presented. The menu is a little more on the pricey side than most places but it's definitely worth it. The waiters were all attentive and polite. Overall, a very pleasant evening. We enjoyed the crab cakes, the tuna nicoise salad, and the rump steak. It turned out to be a very quiet spot at 8:30pm on a weeknight! Good food, friendly service...loved their gin cocktails and a table outside in the sunshine. Was a great afternoon! 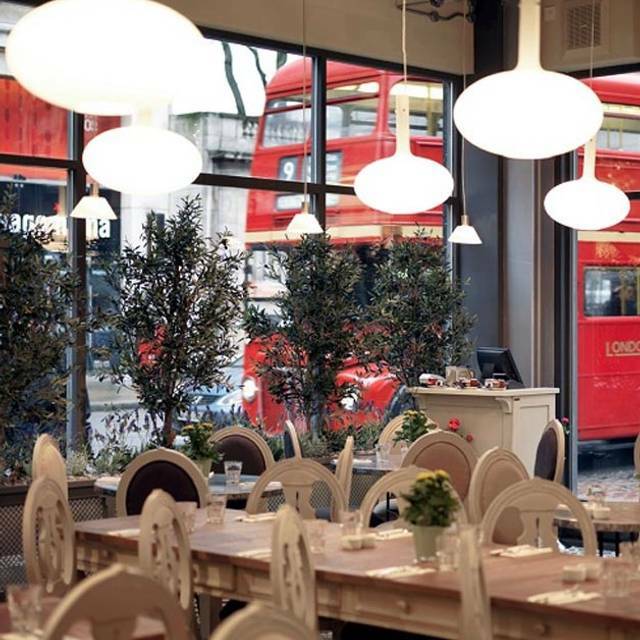 A large restaurant with shabby chic interior. Poor ambience and very little to suggest a French cuisine. Werdered two wines which were out of stock (on a Tuesday evening). We drank a good Viognier, if a bit pricey, and ate a good steak. However, the fries were anaemic. The lobster spaghetti was not good value for money, rather bland sauce. Service polite but not engaging. Service: needs work. it’s projection meter is on a downward slope. Drinks order taken by (assuming) floor manager. Missed the order (a very simple one), had to grab another waiter. Attentive staff is sorely missed in general, everywhere. Really depends on the alignment of the stars, or some holy intervention. Drinks: coffee in particular was good, in fact consistency was there. If you order bottled water. Ask for it to be opened at table. Ours was not Evian. This practice must be stopped, everywhere. Few places to sit outside, limited to 2 per table. Noise level peak time, average.